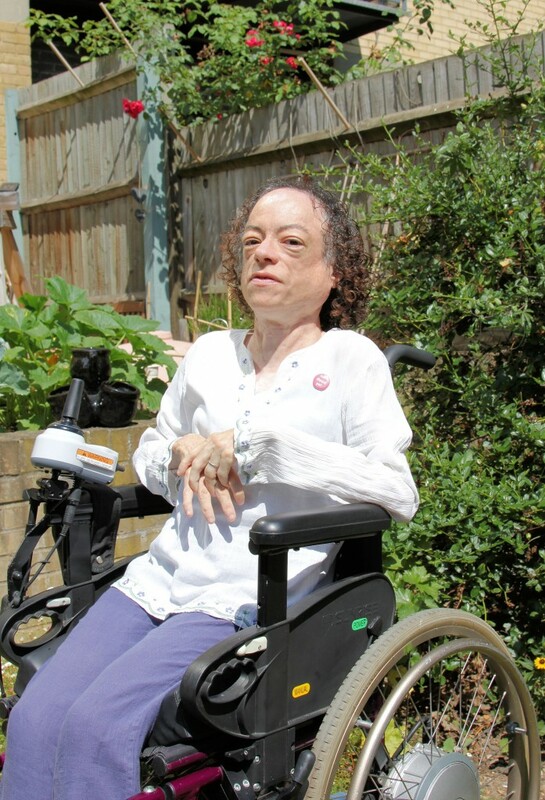 Wirral actress Liz Carr is astonished that disabled people have had to struggle to have their voices heard in the debate on assisted suicide and euthanasia. She tells Simon Caldwell why they won’t be silenced. Long before she played the role of Clarissa Mullery, a forensics technician in Silent Witness, the popular BBC drama, Liz Carr had grown accustomed to people staring at her. That comes with being disabled. But those days were simple compared to the minor celebrity status she now enjoys after her first two series. “Now it does my head in because I don’t know if people are staring because they always have or because they recognise me,” she observes before throwing me a couple of anecdotes about what it is like to be famous. They are alternately witty and serious, perhaps not unlike the 42-year-old facing me from her wheelchair in her central London home. “A woman came up to me the other day – I was having dinner – and said, ‘I love you in Waking the Dead’ (sic),” she laughs, before she softens her tone and tells me about her most “powerful” experience of being recognised in public. During that particular debate Liz had voiced the fear of becoming “the most hated woman in Britain” because she almost singularly challenged the decision by the parents of Daniel James, a 23-year-old man paralysed in a rugby match, to accompany their son to the Dignitas clinic in Switzerland to commit suicide. The Philosophy professor assured her that many people in fact agreed with her position. Liz saw her encounter as encouragement to speak out “more than ever” against the threat of assisted suicide and euthanasia. It led to the conviction also that most people remain undecided and that they could be won over simply by talking to them. So it was little surprise that in July that the former pupil of Upton Hall, Wirral, was again on television, this time on major news bulletins protesting outside the House of Lords as peers inside debated Lord Falconer’s Assisted Dying Bill. She was to a great extent the human face of that protest and quite typical of those who turned up: articulate, intelligent, courageous – and disabled. Indeed, the disabled are the very group of people who are emerging as the most vocal and implacable of all the opponents of Falconer’s attempts to change the law. What it is all about of course is disability. This point was hammered home in the debate itself by Baroness Campbell, who from her wheelchair gave one of the most rousing speeches of the day, telling Parliament, while gulping oxygen from a mask, that the proposals frightened her, and stating emphatically that “this Bill is about me”. It would be easy to imagine that having strangers stare at you because you are disabled might make you more attuned to what threatens you or discriminates against you. Long before she joined the battle against euthanasia, Liz was campaigning for the rights of the disabled and it was the “hard cases” pushed into the courts by campaigners who sought a change in the law that immediately caught her attention because they invariably involved not patients who were terminally ill – as Falconer’s Bill ostensibly provides for – but people who were disabled and who were not imminently dying. She continues: “A lot of us know that this Bill is about us because the line between terminal illness and disability impairment is blurred. So if, for example, you are going to die within six months without treatment – well, pretty much a lot of disabled people are in that category. It is also how our lives are viewed by the medical profession. We are going to be putting a lot of power in the hands of doctors who already have massive power in terms of diagnosis and (determining) quality of life. What is fuelling the demand for assisted suicide and euthanasia is not so much the fear of a painful death (in reality people sometimes endure as many as 21 hours of agonised vomiting when committing assisted suicide), and Lord Falconer admitted so much himself in his opening speech in the Lords, but rather a loss of absolute autonomy, the summum bonum of the men and women of the 21st century secular West. Having someone assist you to have a shower, use the toilet, or eat stands starkly in contrast with the tenets of this most modern of ideologies. Most disabled people know that they can live this way and still have a quality of life but the Zeitgeist suggests that their dependence on others means they have no dignity. It is an environment in which a disabled person “is not viewed as an equal at all”. But the accompanying idolatry of autonomy is, like all false gods, illusory. The Falconer Bill is less about giving choice to patients than giving more power to doctors, even at a time when, as Bishop Mark Davies has observed, there are widespread concerns about the ill treatment of patients in some of our care homes and hospitals. Such extremely negative attitudes towards the sick and disabled indeed coincide with the emergence of a “profit-driven” National Health Service and the erosion of state and family networks of support, making the Bill the “ultimate discrimination”, according to Liz, and extremely dangerous. Liz hasn’t always been disabled so she understands what a life-changing experience it can be for people to suddenly find themselves depended on others to such an extent. She was born in Port Sunlight and she grew up in Bebington, attending St John’s Catholic Infant and Junior Schools in New Ferry before she fell ill from a rare illness when she was seven years old. By the age of 12 she was using a wheelchair. An evidently bright student, she nonetheless gained the grades she needed to enter Nottingham University and graduated with a degree in Law. But she gravitated to performing arts and especially comedy, joining a group of disabled comics called Abnormally Funny People and eventually performing her own stand-up routines at the Edinburgh Fringe and elsewhere, finally coming to the attention of the BBC which gave her work in her genre. At the same time, Liz was finding the campaign for assisted suicide increasingly “abhorrent” and she joined a network of disabled anti-euthanasia activists called Not Dead Yet UK and began to campaign. Her salad days over, a deeply serious side to her character was taking shape. Her close connections with the BBC meant that the Corporation would call on her to contribute to televised debates on assisted suicide. In 2012, she persuaded the BBC to make a radio programme called When Assisted Death is Legal. With the help of an award from The Winston Churchill Travelling Fellowship, Liz visited the five places where assisted suicide and/or euthanasia are permitted – Belgium, Holland, Switzerland, Luxembourg and Oregon and Washington State in the USA – and found just how disturbing they were in practice. Inevitably, all safeguards are prone to skidding down the so-called slippery slope. Belgium shocked the world this year by legalising euthanasia for children but things are moving on elsewhere too. In Holland, for instance, Liz was “stunned” by some very candid euthanasia activists who are highly motivated by the concept of a “completed life” – basically death on demand for those who simply think they have had enough. She protests to me that she isn’t being “hysterical”. I believe her, having watched the Lords debate and seeing at least two peers attempt to justify killing the sick and elderly on the grounds that they might be a burden on their families and the state, and another whingeing that the present legal prohibition of euthanasia constituted an unreasonable burden to doctors who want to kill their patients. So what of the Assisted Dying Bill? Liz doubts if it will be allocated sufficient parliamentary time to become law but she strongly fears that a future Labour-Liberal Democrat coalition government in particular would conceive assisted suicide as a popular subject for a Bill of its own, even if the parties omitted this from their manifestos for the 2015 General Election. There are many battles ahead, she assures me, and the time will soon be ripe for us to make our views on the lethal danger of assisted suicide with total clarity to those who will soon be seeking our votes. For now, it is a great consolation to know that this immensely talented and brave woman will be fighting for the weak when such struggles arrive.